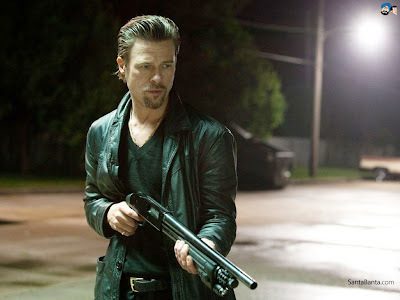 Movie Ramble: Killing Them Softly. Since I’ve only recently seen the class act that is Pulp Fiction (1994) I am able to confirm that Killing Them Softly (2012) appears heavily influenced by the Tarantino film? 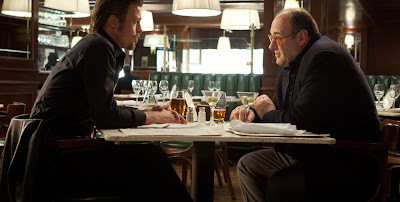 Its about a hit man Jackie Cogan (Brad Pit) as brutal and matter of fact as either Vince or Jules. 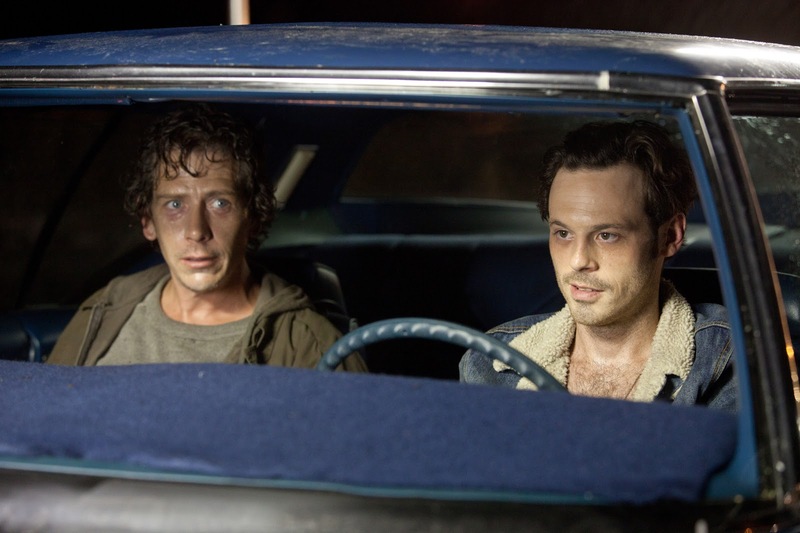 The story is driven by dialogue that is only interrupted by bouts of gross violence that’s inflicted on some poor sole. Recognize the template? Andrew Dominik set his film in 2008 at a time when America embarked on a transitional stage in its history. It was a period when the collapse of the Banks was rattling the very bedrock of America’s capitalist system and an African American called Barack Obama was competing with George W Bush in an electoral campaign to become the first black President of the most powerful country on earth. Dominik is a New Zealand born Australian who has already directed two award-winning movies, Chopper (2000) and his first collaboration with Brad Pit, The Assassination of Jessie James by the Coward Robert Ford (2007). Based on the 1974 novel Cogan’s Trade by George V. Higgins, Killing Them Softly is a neo noir crime drama where a local mobster Johnny ‘Squirrel’ Amato (Vincent Curatola) employs Frankie (Scoot McNairy), a low life thug who is just out of prison, and his friend Russell (Ben Mendelsohn), an unstable petty criminal whose addicted to heroin, to hold up and rob an illegal card game. Markie Trattman (Ray Liotta) has already robbed his own game previously, and although the local Mafia knows he did it, he was never punished. Which is the reason Squirrel thinks they can get away with it, banking on the fact that the crime bosses will think Markie’s at it again. When the truth comes out Jackie Cogan is employed by the mobs agent Driver (Richard Jenkins) to carry out retribution on those deemed responsible for the robbery. 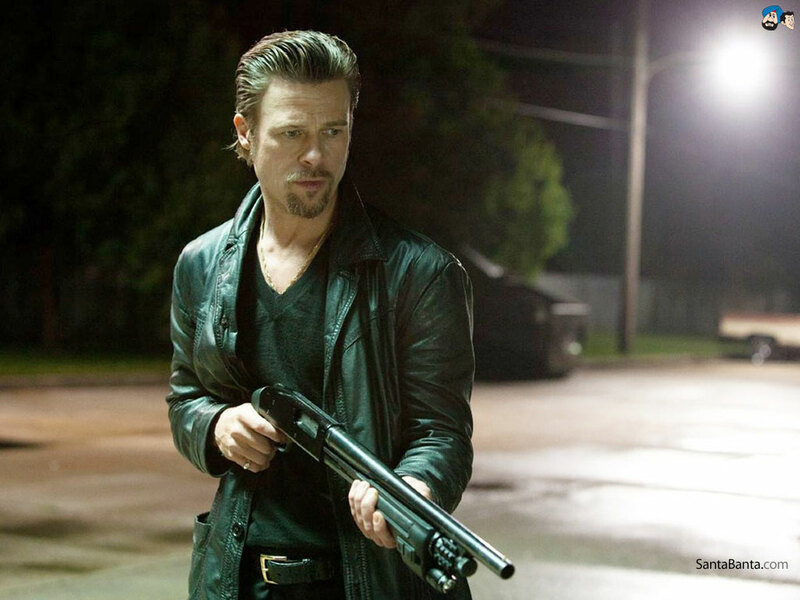 As he did with Jessie James, Pit fits the part of cool hit man like a glove. The slow motion killing scene of a driver in a car against the soundtrack of Ketty Lester’s Love Letters (a single I still play on my Juke Box) is extremely well done, as is in fact the whole of this politically tinged film. I must give a special mention to Francine Maisler who was responsible for assembling such a great cast. Mr Dominik confirms his filmmaking abilities with his CV getting better and better.